PSY's ultra-viral track, "Gangnam Style" put the artist, as well as K-Pop, on the map worldwide. PSY set multiple YouTube streaming records and inadvertently created a landmark event for K-Pop as a whole. 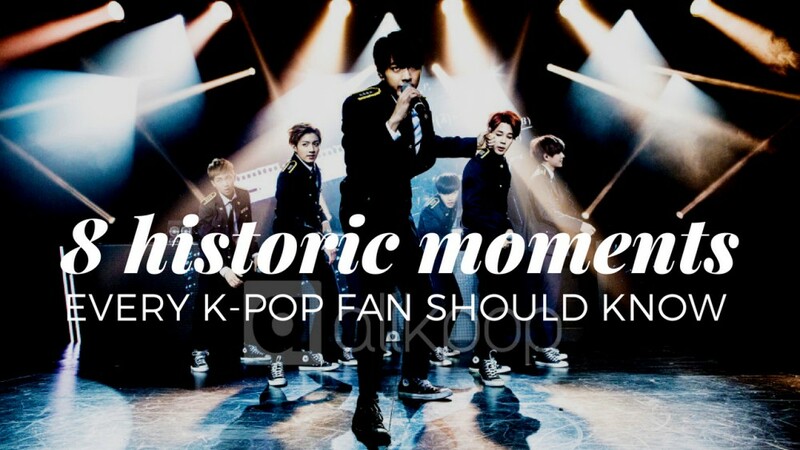 Because of the wide success of the song, K-Pop had a significant increase in interest worldwide. Though this is a negative historic moment, it is important to acknowledge the significance of this event. We miss EunB and RiSe, who both fell victim to the crash, however, their passing caused a large shift in awareness towards idol safety. Fans and general onlookers of the K-Pop scene, from this point onward, began to pay more attention to stress levels, health, and the health of their team members. K-Pop fans who were unfamiliar with Ladies' Code all came forward to show their support and mourn the passing of two talented women. Hangeng debuting as a part of Super Junior was a huge moment for foreign people wanting to take part of K-Pop. In fact, Hangeng is the first-ever foreign idol K-Pop had ever seen. He's paved the way for foreign idols since then and K-Pop has been enriched since the inclusion of talented folks from other countries beyond Korea. In 2012, MAMA Awards had an epic battle during voting wherein fans of EXO and B.A.P were at each other's throats in an effort to help their biases win. Despite the fandom wars, group, Busker Busker, ended up taking up the Rookie award, taking all fans completely by surprise. This goes to show that the perception international fans and domestic fans have are completely different. At one point, not long ago, girl-group EXID faced the possibility of disbandment. A fan took a spectacular fancam of Hani and suddenly the video went viral. The performance was a minor one, but the fancam taken was incredibly viral. This video of her boosted sales for "Up and Down" and made EXID significantly more popular. Hani even recognized the fan for his fancam and invited him to dinner! Before PSY's international takeover, we had BoA's Japanese takeover! At the time, it seemed impossible for a Korean artist to break into the mainstream Japanese market. BoA, who was only thirteen at the time, proved to skeptics that through hard work and determination to showcase your art, it is possible to grow to levels unimaginable. BoA paved the way for international success for many artists who followed. Wonder Girls attempted to reach the American market, however, due to cultural barriers at the time, found a lot of hardship in successfully gaining the attention and recognition they were working towards. However, not all of this was in vain. Wonder Girls were able to go on tour with the Jonas Brothers, collaborate with Akon, and even get their very own Nickelodeon movie. Their trek into an overseas market paved the way for many to come. BTS made history as they performed "DNA" at the American Music Awards. These boys will also perform at the Billboard Music Awards on May 20, 2018!